Using a sharp eye and a sharp tool, create an Escher-like tessellation of lizards or other creatures to decorate your home. 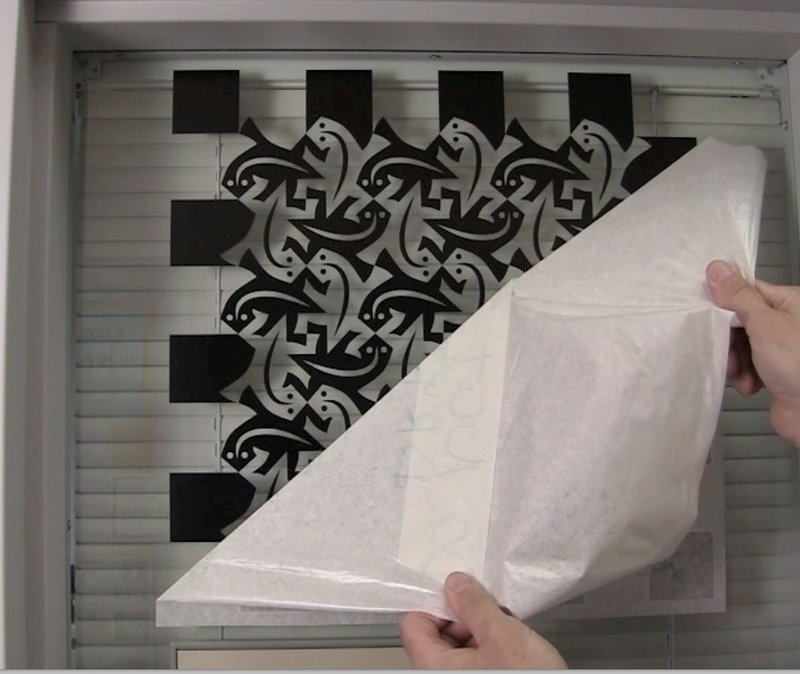 Computer science and math instructor Kevin Lee demonstrates how removing the negative space from a vinyl sticker creates a two-color design similar to the work of M. C. Escher. 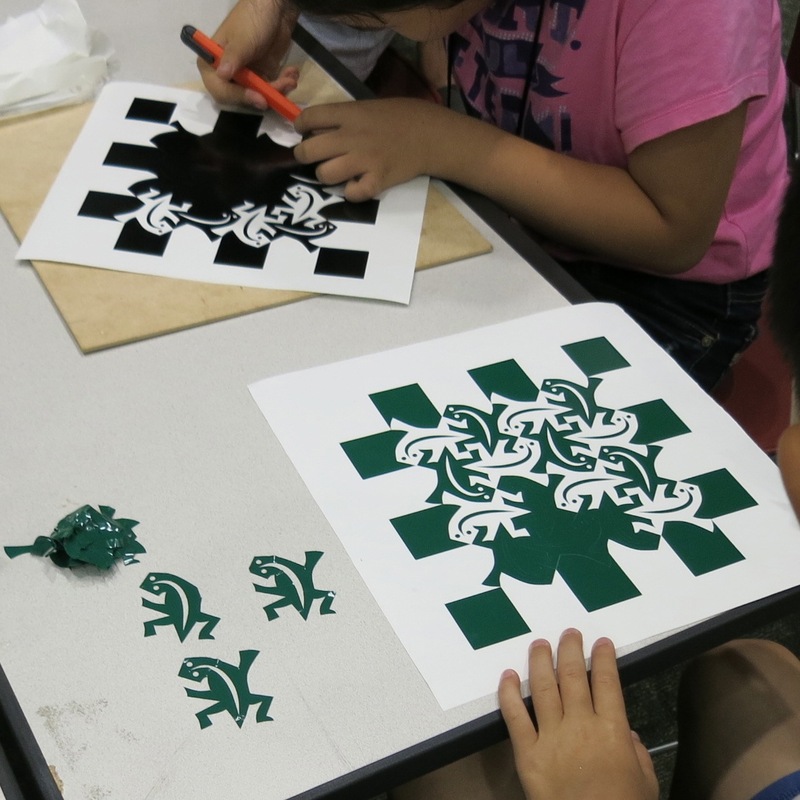 Learn about the math of symmetry and tessellations, and take home your very own 10” x 10” tessellation window sticker.